HS99 is a firm based on Koszalin since 1999. Partners are Dariusz Herman, Wojciech Subalski and Piotr Smierzewski. 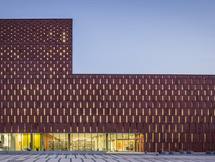 They have been winners of the 2012 Archdaily building of the year in the Museums & Libraries category. Selected for the Mies vans der Rohe Award catalogue.